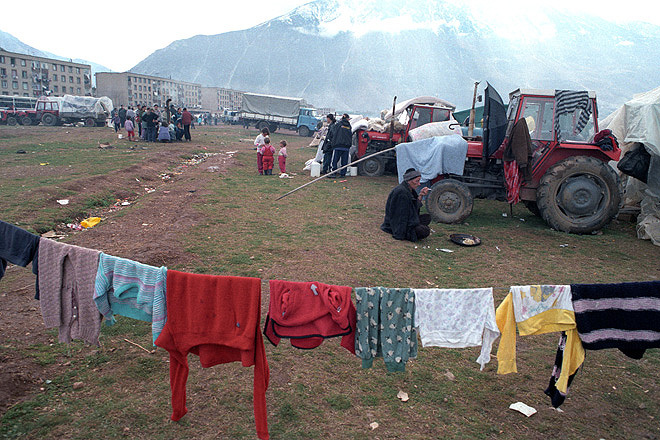 During the conflict in Kosovo in March/April 1999 over 400'000 refugees arrived in Albania, some were housed in this camp set-up in a leisure park in Tirana. 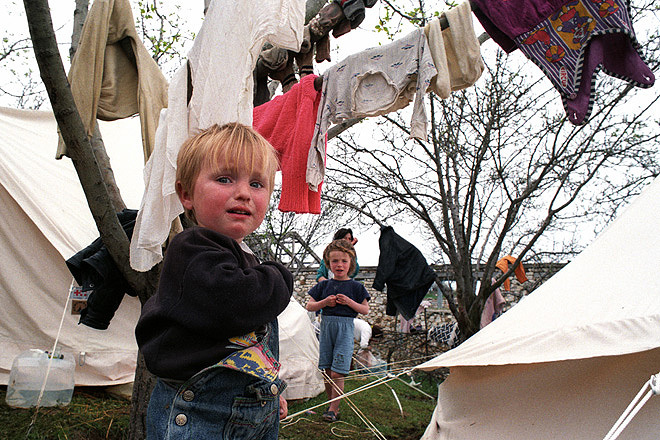 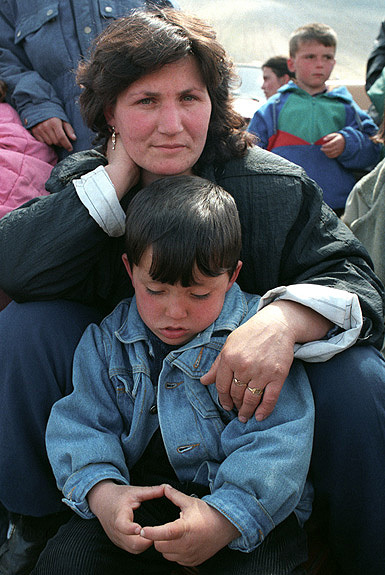 During the conflict in Kosovo in March/April 1999 over 400'000 refugees arrived in Albania, some were housed in the camp set-up in a leisure park in Tirana. 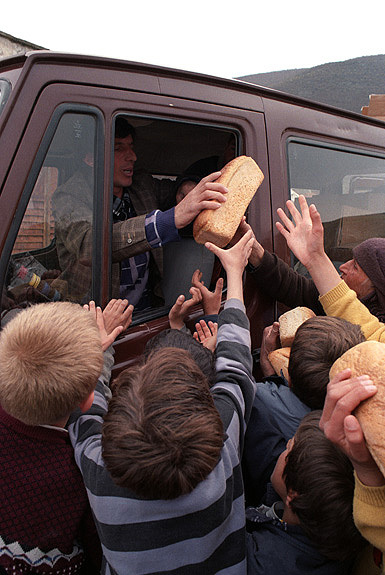 US food distribution in Kukës. 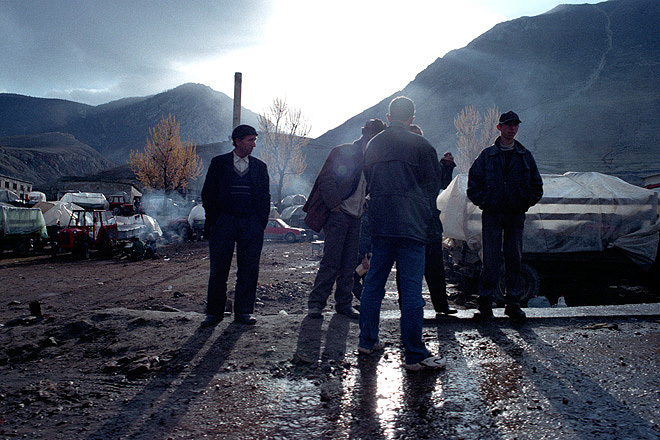 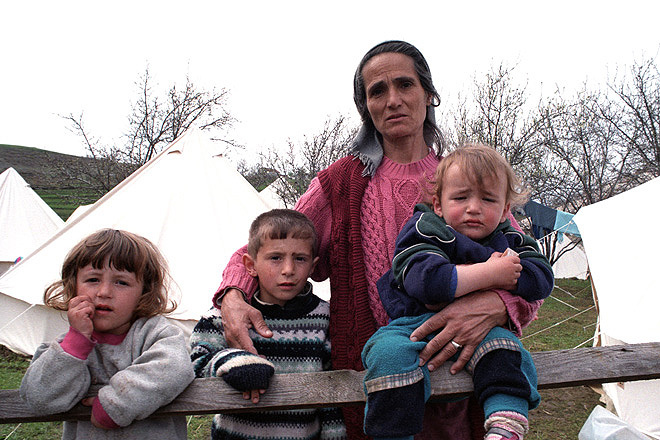 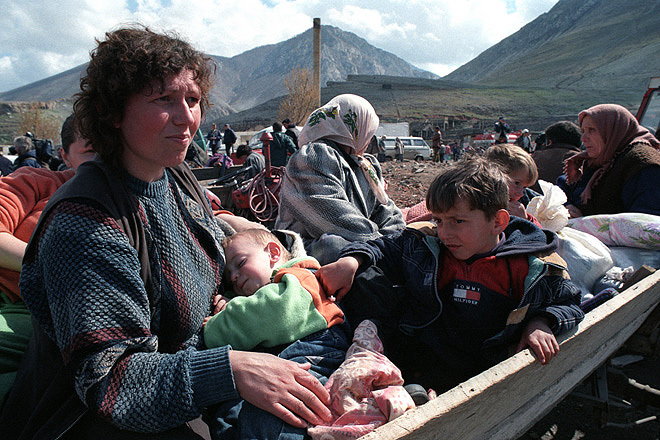 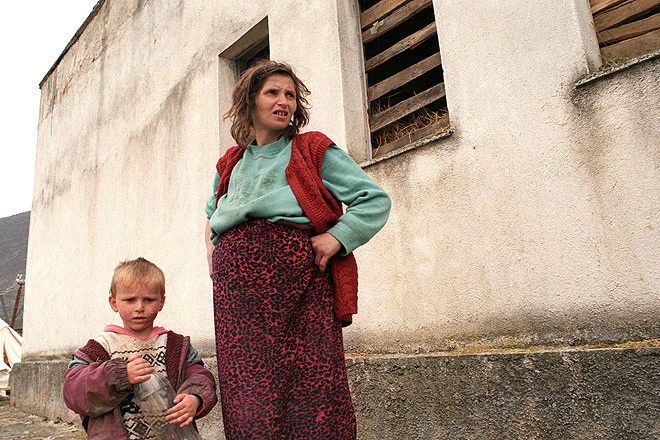 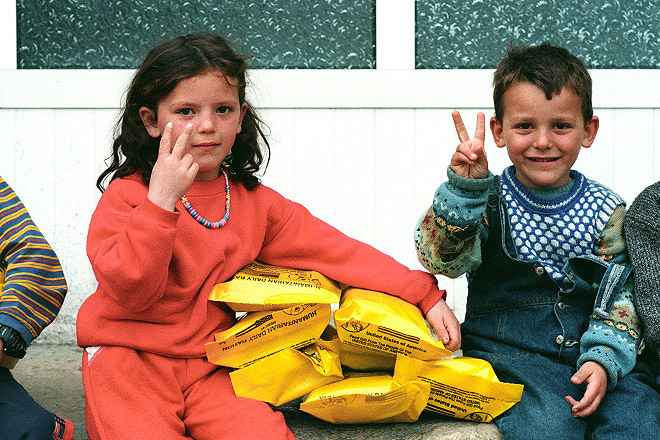 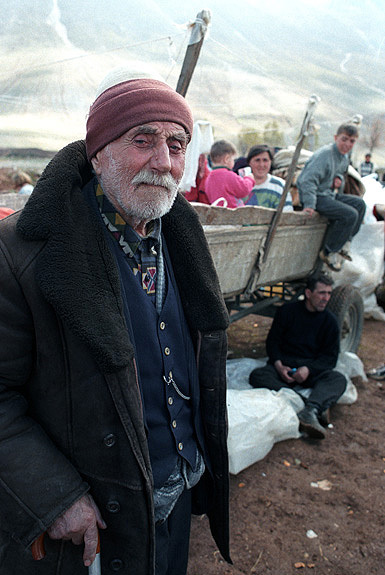 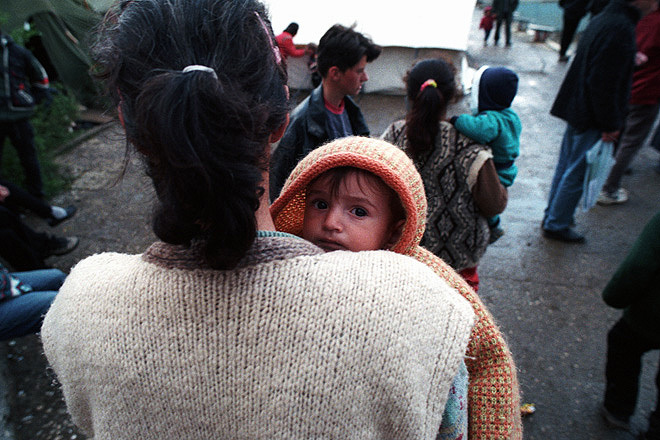 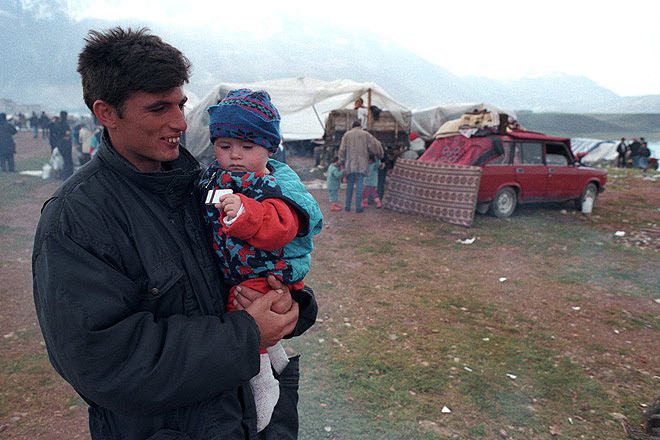 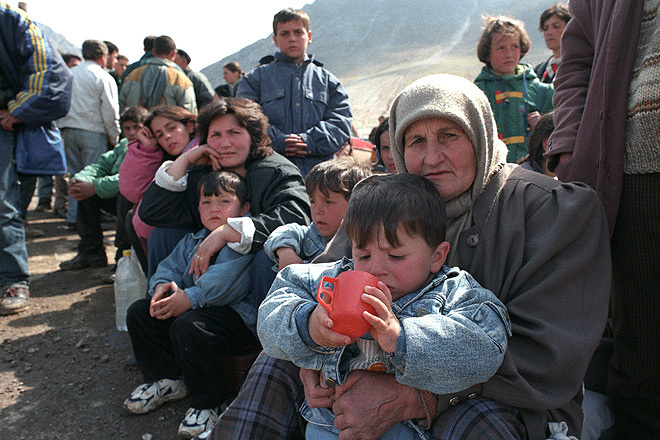 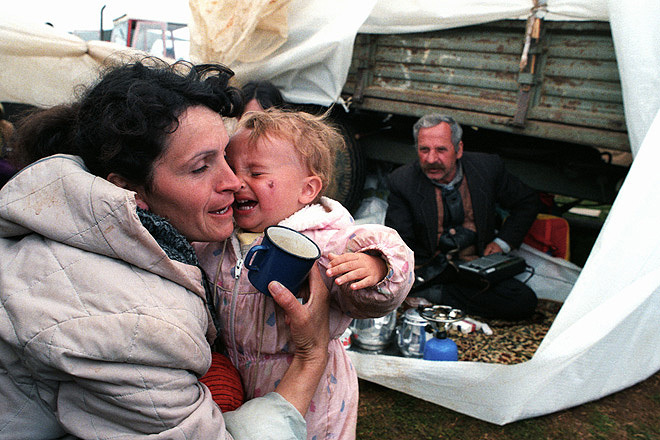 During the conflict in Kosovo in March/April 1999 more than 400'000 refugees arrived in Albania, Kukës was the main influx area for refugees from Kosovo. 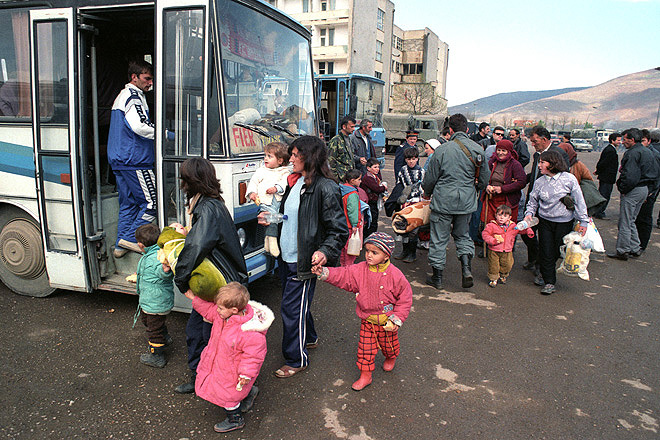 During the conflict in Kosovo in March/April 1999 Kukës became the main influx area for refugees from Kosovo, more than 400'000 refugees passed through this town of 15'000 inhabitants. 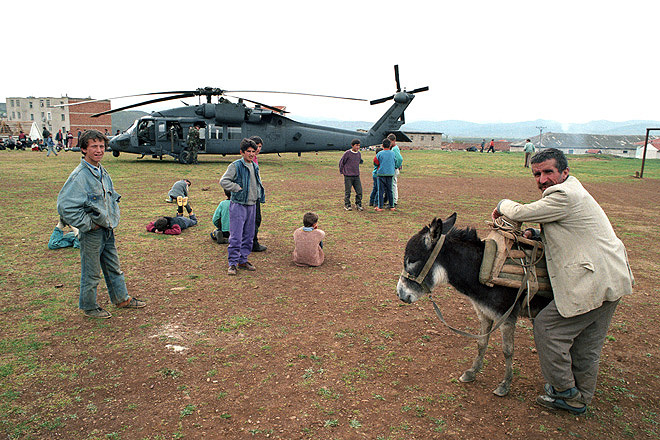 US Air Force Helicopter in Krume. 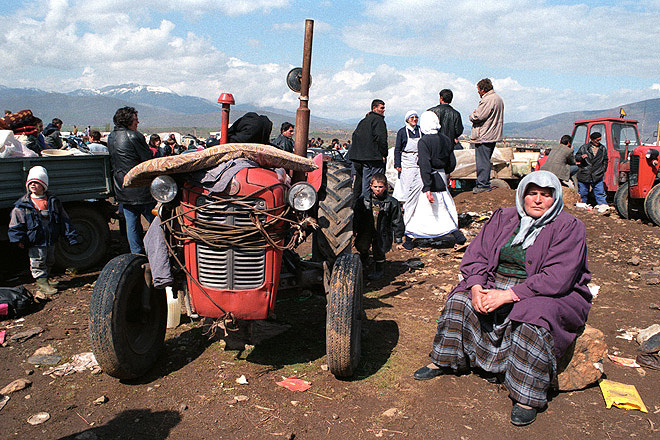 Some 70'000 refugees stayed in this small town. 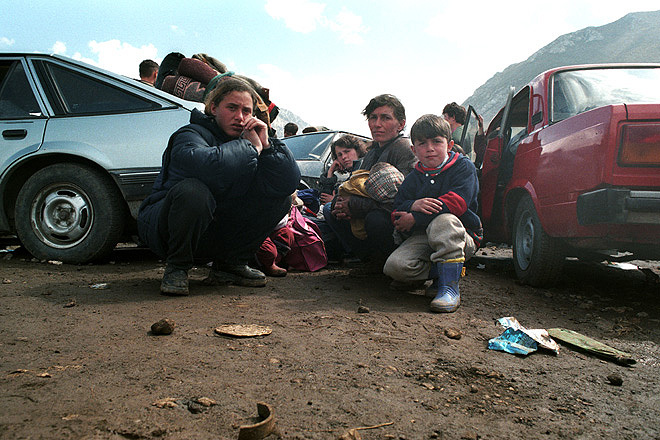 During the conflict in Kosovo in March/April 1999 Kukës became the main influx area for refugees from Kosovo, more than 400'000 refugees passed through this area. 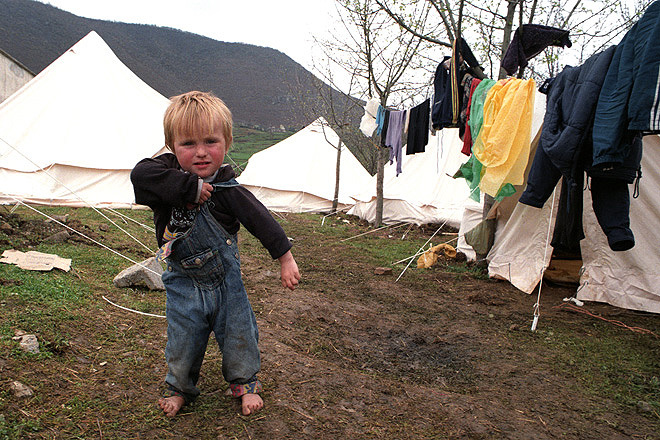 Some 70'000 refugees stayed in this small town. 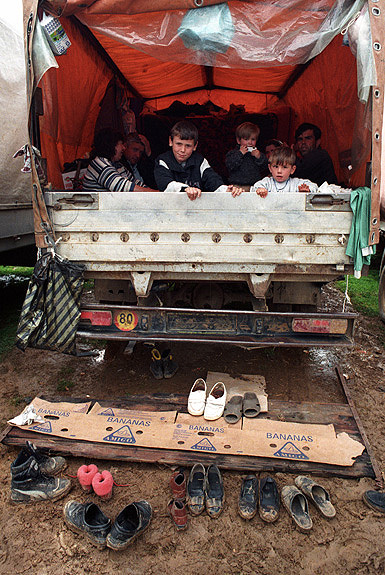 During the conflict in Kosovo in March/April 1999 Kukës became the main influx area for refugees from Kosovo, more than 400'000 refugees passed through this area.